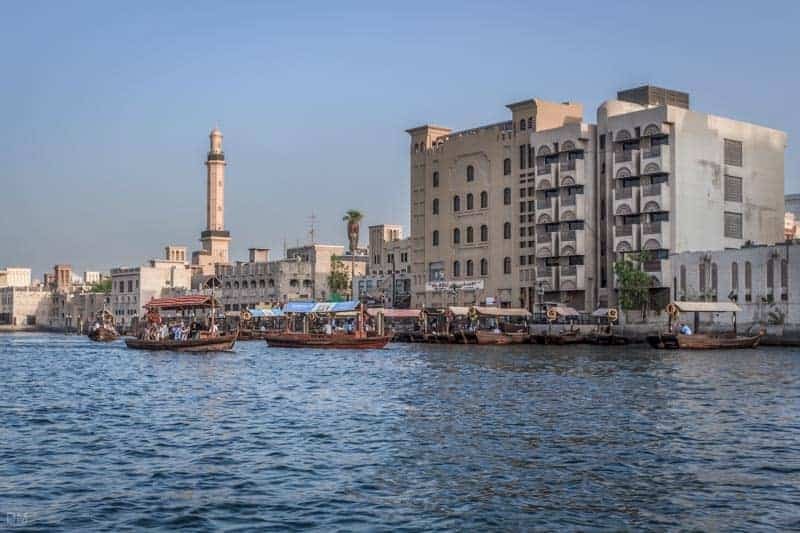 As the name suggests this abra station is located at Dubai’s Old Souk, in the Bur Dubai area of the city. Boats leave the dock here for Sabkha Abra Station on the other side of the Dubai Creek. The fare is just one dirham. Boats operate 24 hours a day. The Old Souk (or Textile Souk) is a traditional covered souk in Bur Dubai. 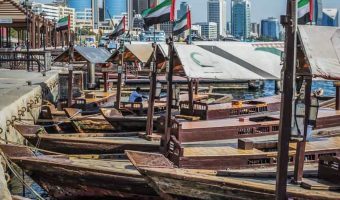 It is one of the best places in Dubai to buy textile, fabrics, and souvenirs. Walk south from the station and you’ll come to Al Fahidi Street, a busy high street lined with electronics, jewellery and textile shops. 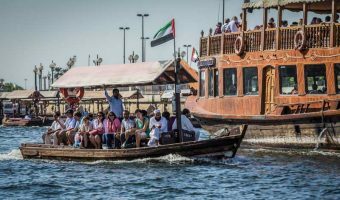 Head east along Al Fahidi Street and you’ll come to the Dubai Museum and the Bastakia Quarter. The nearest Metro stations are Al Ghubaiba Metro Station and Al Fahidi Metro Station, both on the Green Line. Map showing location of Dubai Old Souk Abra Station. Abra dock on Baniyas Road in Deira.